Modern students experience considerable stress during their school years; there is a strong focus on positive presentation and personality, as well as achieving good grades and encouraging athleticism. These demands are made without considering each student's individuality and strengths. This school-centered drama discusses the central theme outlined above and depicts the lives and relationships of six high school students, each of whom has different dreams and goals which they struggle to achieve, despite trials and tribulations. Salve Oct 30 2017 11:04 pm At first I watched this movie because leeminho was in there,haha I am a fan of lee min ho but It was quite confusing since lee minho was not the focus of story.But I am so grateful that I have watched it was a beautiful movie,.May I ask as to why others are no longer active like seung joon cha or seung hyeon, he is so cute and I like the smile of seong min seol.If seung joon cha would be a main role character to a specific love story it would be so cool. lee min ho's secret fan Sep 06 2017 8:29 am i decided to watche this drama only because of Lee min ho. but then i found out, he is in supporting role. got bored. but still watched till end..
alli Jun 08 2017 6:04 am I find Bo Young and Lee Min Ho and I find others but why they are not active? and some of them i can't find. adenike.. Sep 21 2016 1:17 pm I watched simply because Lee min ho was there.love to follow all his works.Kudos to Lee mi ho. Emmiasky Ojex Aug 15 2016 7:44 am Gosh,to think I actually watched this movie because of Lee Min Ho Only to find out that he's just a minor character,But the movie was a little bit interesting. kpopkitty Feb 17 2015 4:00 am I watched this because Lee Minho was in it. I wished I didn't, as this was probably one of the most boring dramas I have seen yet. Saphire Jan 08 2014 10:42 pm hi guys, anyone can get me the link where i can find the English subtitle for this drama. malee May 08 2012 12:48 am super like! keviene Oct 22 2011 6:50 am twas kinda boring in its first episodesss... but bcoz of Lee min Ho, I actually tried watching the whole episode..hahaha! 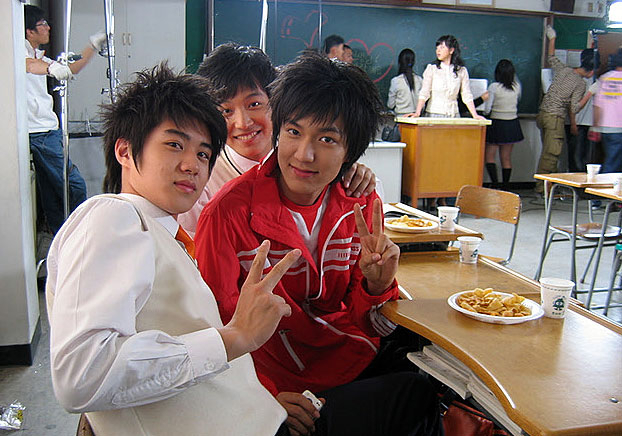 twas good that it focuses on FRIENDSHIP.. but kinda scary too coz twas centered in their friend's death... oMMmmoo..
kimika03 Jul 27 2010 1:46 pm ...haixxttt... i wanna watch diz but i can't.....aigoooo... Kimberleeminho can i ask sumthing? wer can u watch thus drama? cuz i can't find it,,, if it's okay to u can u tell me the website that i can watch this??? if not that's alryt i'll find it myself.. thank you..